For the fourth year in a row, Partners Patrick D. Ertel and Robert M. Gerstein have been recognized among the “World’s Leading Intellectual Property Strategists” in Intellectual Asset Management (IAM) magazine’s 2012 IAM Strategy 300 (formerly the IAM Strategy 250). The IAM Strategy 300 identifies those who offer world-class services related to the development and implementation of strategies that enable intellectual property owners to maximize the value of their rights portfolios. Nominees were selected from around the world by industry peers. Finalists were chosen after an intense five-month period of credential confirmation by IAM. "Having two of our partners named to the IAM Strategy 300 list for the fourth year in a row is further recognition of our Firm’s leadership in the field of intellectual property law," said Jeffrey S. Sharp, managing partner of Marshall, Gerstein & Borun LLP. "Pat’s and Bob’s application of technical expertise and real-world experience continually delivers value to our clients." 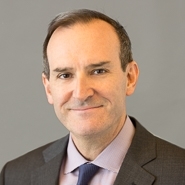 Patrick D. Ertel is recognized as a leading IP strategist for major corporations and technology-based start-ups across a variety of industries. Most recently, he has focused on companies in the medical device field. Mr. Ertel’s ability to successfully protect and defend intellectual property is grounded in over 35 years of practice. Robert M. Gerstein counsels clients on all aspects of intellectual property, negotiates patent and trademark agreements and provides legal opinions. He strives to provide advice that is not only strategically sophisticated but also practical and economical for a particular client’s business goals. Mr. Gerstein also serves on the Firm’s Executive Committee. To learn more about the IAM Strategy 300, visit the IAM Strategy 300 web page.